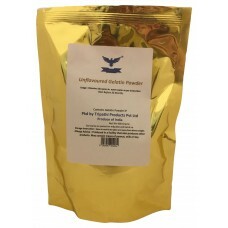 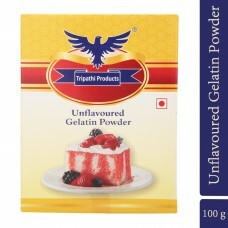 Unflavored Gelatin Powder Premium Quality 200 grams Edible Gelatin Powder to make jellies, candies e..
Unflavored Gelatin Powder Premium Quality 3x100 grams Edible Gelatin Powder to make jellies, candies..
Unflavored Gelatin Powder Premium Quality 4x100 grams Edible Gelatin Powder to make jellies, candies.. 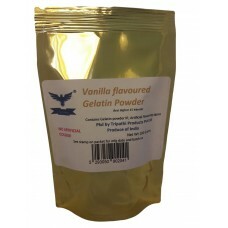 Vanilla flavored Agar Agar Powder Premium Quality 100 grams Agar Agar/Kanteen Grass/China grass Powd.. 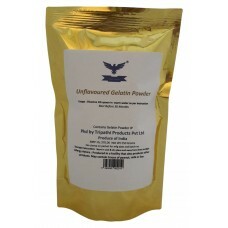 Vanilla flavored Gelatin Powder Premium Quality 100 grams Edible Gelatin Powder to make jellies, can.. 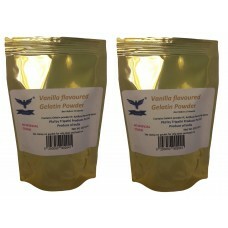 Vanilla flavored Gelatin Powder Premium Quality 2x100 grams Edible Gelatin Powder to make jellies, c..
Mango Flavour Powder 200 Grams In the age of instant drink and supplements, consumers are not only .. 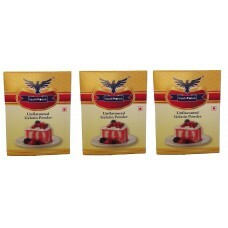 Strawberry Flavour Powder 200 Grams In the age of instant drink and supplements, consumers are not ..
Tripathi's Xantham Gum Premium Quality 100 grams Xantham gum Powder for thickening dessert, cakes et..